When I was a lot younger – and therefore had a lot more patience – I read the book Les Miserables. It was looooong and convoluted. (I’m not really a fan of french lit) The musical is just the same. The West End production is fantastic, the cast is great (with the exception of Cosette Lisa Anne Wood, whose soprano was rather shrill around the edges). And I didn’t even see Alfie Boe but his understudy, who also was very fabulous! The true highlight tho was Thenardier – the Master of the House – brilliantly played by Matt Lucas, whose comic timing was never in doubt. But I didn’t realise he actually has a great voice. His performance saved the musical for me. Because the musical covered the whooole book (which I didn’t know) and even tho the music has its merits (otherwise it wouldn’t be on for 25 years and still is going strong) I admit – I am so not going to see that a second time. Maybe it’s because the show covers what? 40 years worth of lives? Maybe because the characters are introduced and executed or shot in fast succession so you can never relate to them properly. Maybe I was just tired and I do get bored easily. Fact is – I really can’t see the overall hype about this musical. What actually did make me smile were Simon Burke’s fun remarks in his brilliant one man show about the time when he was in Les Mis playing Marius. I finally understood his hilarious description of the dance steps in the show. 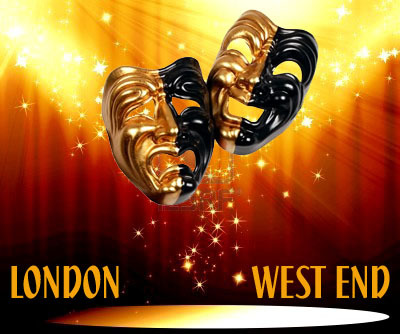 This entry was posted in London Westend and tagged les mis, les miserables, London, matt lucas, musical, West End. Bookmark the permalink.